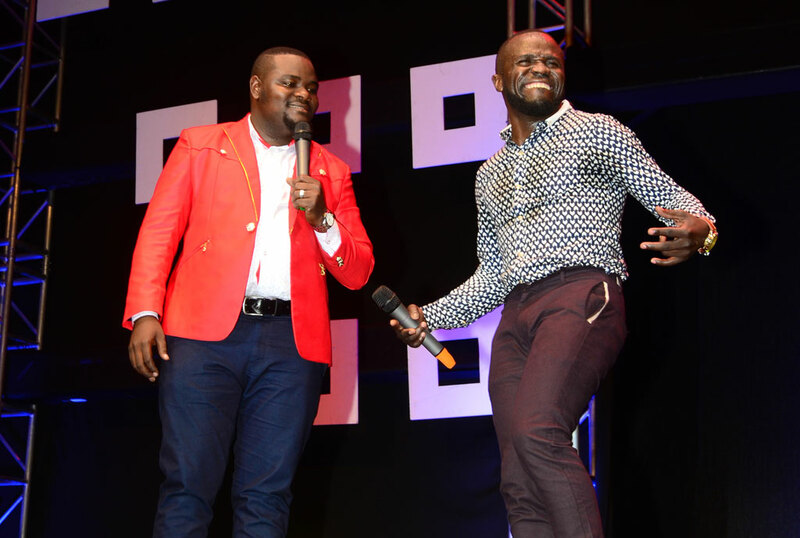 RIB CRACKERS: Comedy duo Madrat and Chiko joined the industry while based in Mukono. 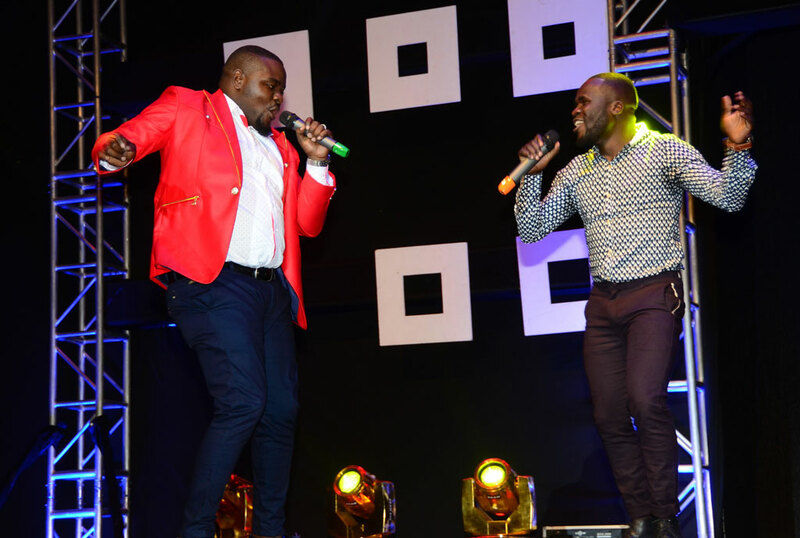 Although they cracked ribs, they were not popular in Kampala until last year when they got their first gig at Waikiki Bar and Lounge and then Labonita before they settled at Laftaz Comedy Lounge in Centenary Park. Today, they are a household name. Lawrence Ogwal talked to the two about the comedy industry and private life. Who are Madrat and Chiko? MadRat: My real name is Dickson Lubega. I was born 30 years ago to the late Moses Ssebyala and Irene Ssebyala. I was born in Masaka but raised in Makindye. I attended St Kizito Junior School in Mukono and then joined Africana Whiteland College in Mukono now called Seroma Christian School. I did not continue after Senior Four. Chiko: My real name is Frank Mubiru and I was born 28 years ago to Badru Mubiru and the late Sarah Nakyegye. I was born in Masaka and raised in Makindye. I went to New African Child in Makindye, Nabuti Primary School in Mukono for Primary 6 and 7 then joined Fairland High School in Mukono for O-Level and Progressive High School in Mukono for A-Level. I did not go to university. Chiko: I did not know I was a comedian when I started because I did not see it in me. I was a drama actor in some group in Mukono for close to four years before a radio job came calling in 2009. I then joined Dunamis FM in Mukono and it was while on radio that I was told people laughed a lot when I was on air. I also worked at TOP Radio for a few years before I decided to try out comedy. Madrat: After Senior Four, I joined Epic Mobile Sounds as their official DJ and it was from there that I learnt how to be an events MC. I partnered with a friend called Baby X with whom we hosted events and with time we were joined by another friend to form the group Malibu Comedians. The name was inspired by Amarula family which was named after a drink. We used to do our events at Total Pub in Mukono, Kisumali, Pride Pub Bweyogerere, 0-one bar in Zzana, among other places. When did you meet Chiko? Madrat: We met Chiko at 0-one Bar in Zzana where he happened to perform too. We were friends from back then, although we only got close during the gigs we both performed at. We added him to the group and renamed to Stress Doctors. What happened to Stress Doctors? Chiko: Stress Doctors was among the best groups in Mukono because we used to do sketch comedy and Stand-up. The group was active for four years until 2015 when one of the members, Baby X, died in a car accident. We had just acquired a new car, a Toyota Starlet and he died while driving it. We continued working but unfortunately, Ibra Lubowa, the other member, decided to seek greener pastures. That was the beginning of Madrat and Chiko. How was the beginning as a duo? Madrat: The beginning was tricky because we were tired of only being based in Mukono. One day we decided to take a taxi to Kampala and our motive was to perform at Theatre Labonita. We used to watch a show on TV called Haha and we wanted to be part of it. We approached Emmanuel Ssebakigye, but unfortunately he turned us down, saying we could not perform at Labonita since we were local and only performed in Luganda. He said he did not want to work with Luganda comedians because they were obscene. He took us to Waikiki Bar and it was there that he said our performance would determine if we were eligible to perform at Labonita. Chiko: Our performance at Waikiki was impressive and the crowd requested the organisers to bring us more often. We won our first gig at Theatre Labonita. It was unfortunate that we got misunderstandings with the organisers and left for Laftaz where we signed a one-year contract to perform at the weekly Jazz Comedy Night. You seem to have pushed Snake and Zolo out of business when you joined Laftaz. Chiko: It was not our motive. I think it is the crowd who saw our potential and decided to support us throughout the year. We brought a new twist to stand-up comedy, which the people liked. What makes Madrat and Chiko tick? Madrat: Before we go for any show, we sit and draw a plan, find out what material we are going to serve the audience and we also study the audience. We have different jokes for different crowds. We are not about attracting the loudest cheers but we want to crack jokes that will stick in people’s minds. Where do you get your jokes from? Chiko: We get our jokes from everyday situations. We can get a joke from this interview with you and you will see people laughing. We get jokes while driving around town and many other everyday situations. We just make sure we keep that third eye to see what everybody else is not seeing. The audience has complained about comedians recycling jokes and you have been culprits. Madrat: The crowd doesn’t know that it is hard to come up with jokes. We actually sit and draft jokes to be used for a week in case we have many events. The people who complain about recycled jokes as far as Madrat and Chiko are concerned are our staunch fans who follow us everywhere. We don’t repeat jokes at the same place, but we will do the same joke at a different place and if they happen to follow us there, they will find the same joke. But I know about three jokes that you have cracked more than 20 times. Chiko: Some jokes are not recycled intentionally. Some are done on request from the audience or the person paying us to perform. They might call and ask for a specific joke because they think it is their best from us. What is that joke that you are always sure will crack up the crowd? Chiko: We don’t have a specific joke but what I am sure of is that unlike other comedians, we come on stage prepared so we trust all our jokes. We have different jokes for children, weddings, corporates and for everyday people. 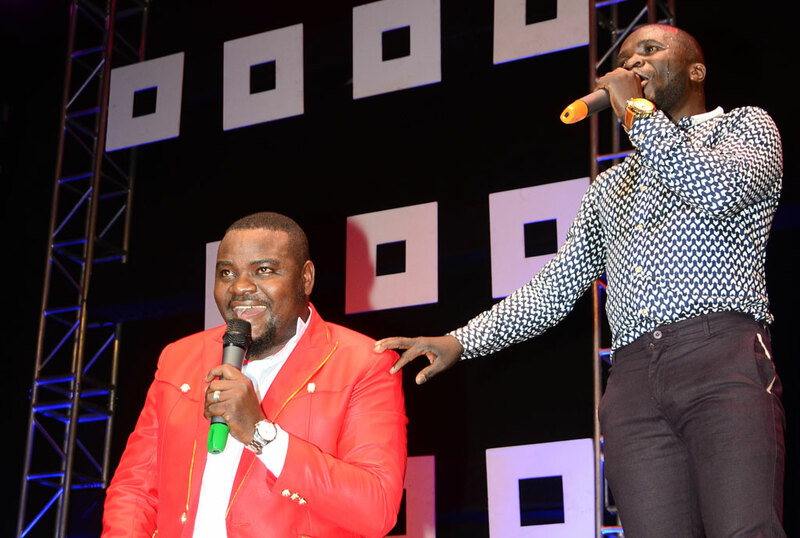 You are known as Luganda comedians, have you performed at any corporate events? Our first corporate event was in 2015 in Mbale. It was a Pepsi event and it opened doors for us. We have worked with NTV, UAP Insurance and Huawei Technologies, among other corporate companies. You rarely perform in English, how do you handle corporate events? There is a saying that, desperate situations call for desperate measures. We didn’t complete school and truth be told, our English is not the best but we will speak it when we have to. At most of the events, we are pushed to the wall but at the end of the day we come out of it and smile all the way to the bank. It is, however, always harder compared to our usual shows. When was the first time you realised you could crack jokes in English? 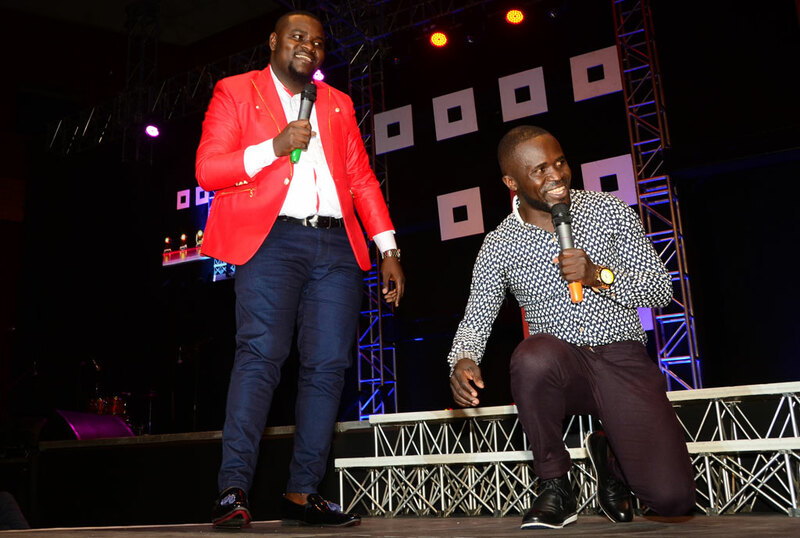 It was last year when we went for the Mirinda Comedy Show in Lira. We cracked jokes in Luganda but only a few were laughing. We were forced to translate the jokes to English and the people ended up laughing. It was a trying moment but we thank God we came out safe (laughs). Since then, we have gained confidence that we can even perform for Donald Trump if contacted. You performed at last year’s Africa Laughs. Weren’t you scared being among high-class comedians? Like a soldier who works under orders, you never refuse a mission. When you are told to go to war, you have no choice. When we were put on the list of performers for Africa Laughs, it was a try and error thing but we decided to give it a try, although we didn’t expect results. But you headlined newspapers as the best performers that night. Since we were so nervous, we did not even know that we came out as the best performers. It was only after seeing a story fronting us in the Daily Monitor and other people saying we were very good that we were happy. What do you think did the trick for you then? As we were preparing for Africa Laughs, we decided to do jokes in English and Luganda back to back since the crowd was mixed with uptown people and the usual crowd. When we started out in English, it was a bit hard but just one joke we mistakenly did in Luganda sent the whole crowd in laughter. We never went back, we continued in Luganda and this time we came out hard and we even forgot we were supposed to perform for only 15 minutes. We went for 25 minutes because we had gained confidence. When do you think your breakthrough happened? When our footage with Comedy Files first aired on TV and when people started coming for our shows and wanted to see how Madrat and Chiko looked in person. What has been your best and worst moment in the industry? The best moment was when we performed at Africa Laughs and people really appreciated our work. The worst moment was last year when we went for an event called Ekyepukulu in Masaka. The promoter, Abitex, failed to pay us claiming he did not make money. We didn’t have any money but the fans felt our pain and raised some fuel money for us. Madrat, a few weeks ago you were involved in an accident, what exactly happened? Madrat: It was on Christmas Day as I was coming from a Rally show with my manager Samuel Bwette, who is a rally driver commonly known as Kawunyemu Rally Driver in Mukono. We were heading to MariaFlo in Masaka where we had an event and Chiko was already there. We collided with another car and the car we were in rolled twice, and thank God I was the only one who got injured. You are always together. Do you ever fight? We get differences but we solve them as grownups. Our differences are always the same, usually when one of us arrives late for an event. Since you both stay in Mukono, should we assume you live in one house? We stay in different villages. We only meet when we are going for a gig but even without a gig, we always hangout together as childhood friends. We are both married but we won’t mention the names of our wives and we won’t count our children. (Madrat had already counted two before he remembered in Buganda they don’t count children). What do you do apart from comedy? Madrat: I own a boutique on the building with Satelite Beach in Mukono. Chiko: I own one of the biggest movie libraries in Mukono.